Framed from the west by Chile’s Atacama Desert and from above by Bolivia’s vast Uyuni salt flats, Argentina’s north-western province, Jujuy, is a dry and remote area of the country that seldom receives much tourism. Despite this, it is home to an unusual mix of cultures, languages and spiritual traditions as well as cacti, vast sandy mountain ranges and rainbow-coloured cliffs that even give Peru’s Rainbow Mountain a run for its money. It is this fascinating mix of alien-like land formations, barren sunburnt stretches of land and lack of tourists that entices the most adventurous travellers to delve further into the magic northern Argentina has to offer. 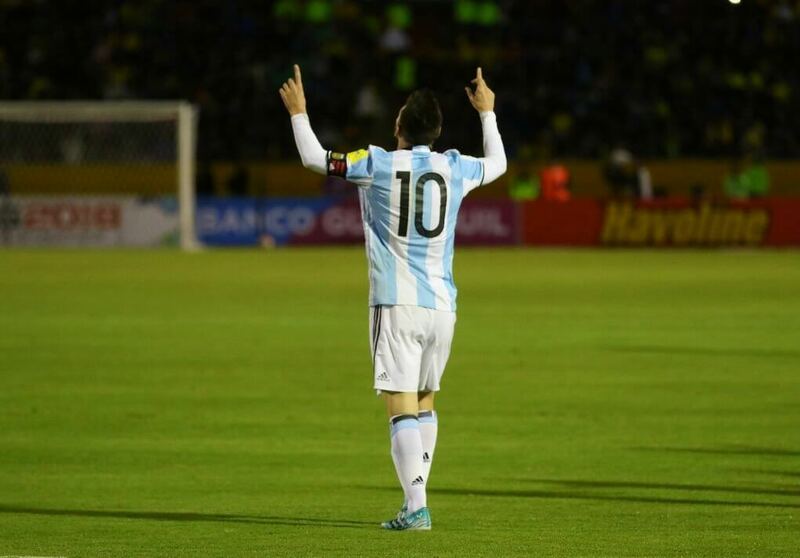 The majority of visitors will begin their adventures from Salta. This large provincial capital sits 1,1500m above sea level and offers the elegant image so often associated with Argentina’s beautiful cities. From here however the landscapes begin to drastically change as you begin to ascend the mountains into the neighbouring Jujuy province. A two hour journey north from Salta will deliver you to San Salvador De Jujuy, the only medium-sized town that sits between here and the Bolivian border that can be found almost 2000m higher at the end of the meandering road. 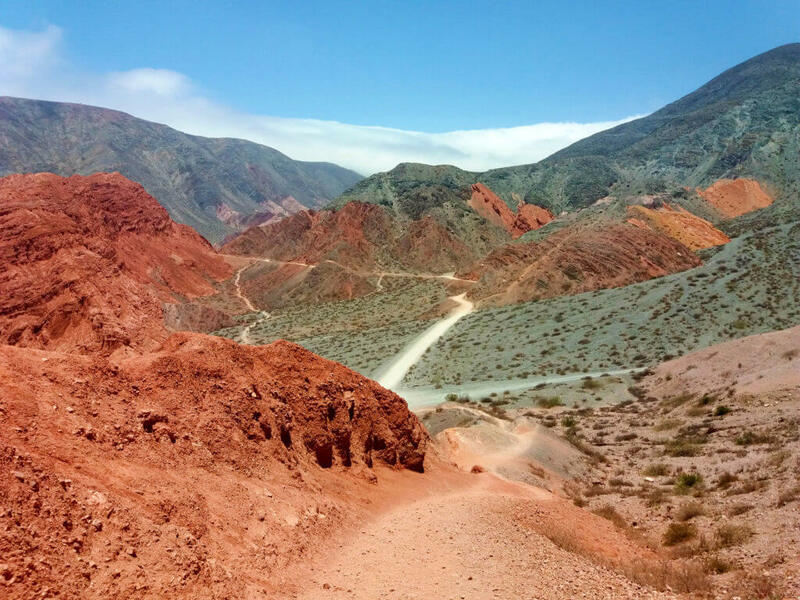 From the town, the surrounding forest lined mountains offer an array of hikes before embarking on a remote road with phenomenal yet stomach-wrenching cliff-side views that take you into the depths of the Quebrada de Humahuaca. Channelling the Rio Grande, this area’s name refers to the large, sandy valley that guides the road directly up towards Bolivia. Its history stretches back even before the Incas, who prospered through economic and social mobility by using the valley as a popular trading route. The air begins to thin as you climb through nothing but golden cliff sides and before you know it the landscape transforms into a setting more apt for a Wild West film than the European culture that is commonly associated with the rest of Argentina. Here, Cardon Grande cactus eerily crop up across the mountain ridges and watch over wanderers and the air is still and silent. This landscape continues all the way to the edge of the country, however, more spectacular views await in the three desert villages that can be found along the way. 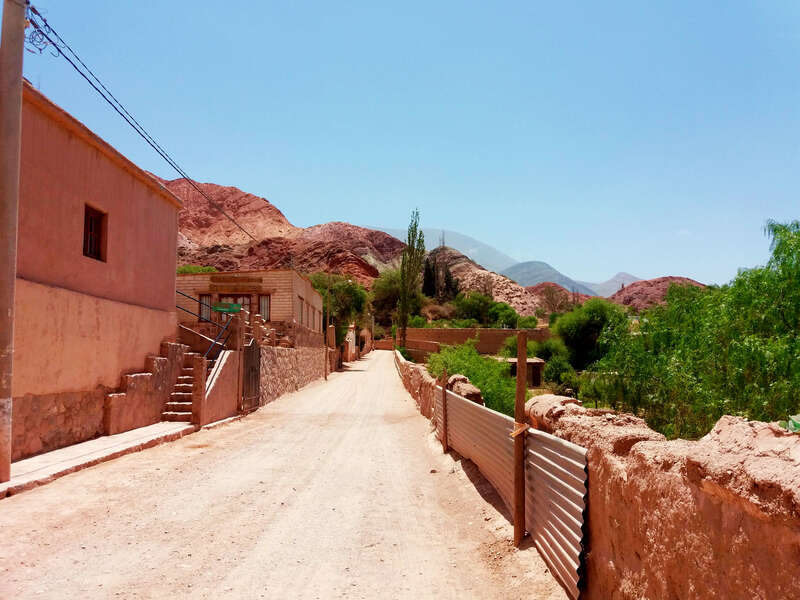 At one point, the cliffs separate and offer a road which turns off to the left and leads you to the village of Purmamarca, which in the nativa Aymara dialect translates as ‘Desert City’. The sandy alleyways here are lined with indigenous street vendors selling Aguayo (traditional woven goods) and if you’re lucky you might even spot your first llama, signalling a stark shift into Andean culture. 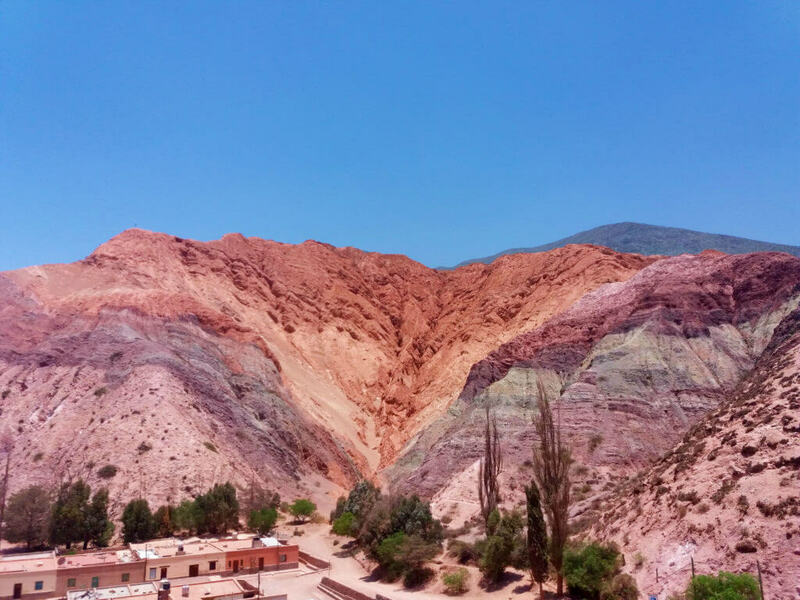 Overlooking the town sits the Cerros de los Siete Colores, where strips of seven different coloured rock forms a phenomenal rainbow mountain that basks in the warm Argentine sunshine. In this remote desert you are able to trek into the sandy cliffs, capturing even more unusual landscapes and walk through sand that displays an other-wordly green hue. 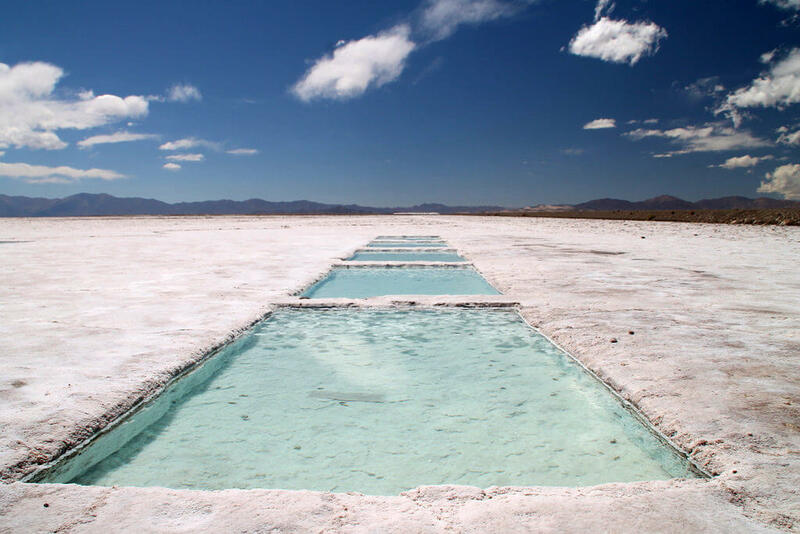 It is possible, from this location, to also drive to the Salinas Grandes, Argentina’s salt flats that sit over 3500m above sea level and offer pristine turquoise waters. Instead, should you choose to head closer to Bolivia you will eventually reach Tilcara and Humahuaca before the final stretch to the border, which is possible to cross by foot if you can handle the phenomenal shift in altitude. It is at the latter town, where once again you can face spectacular ridges which, this time has been named ‘Cerros de los 14 Colores,’ after its even more diverse colourful cliffs. 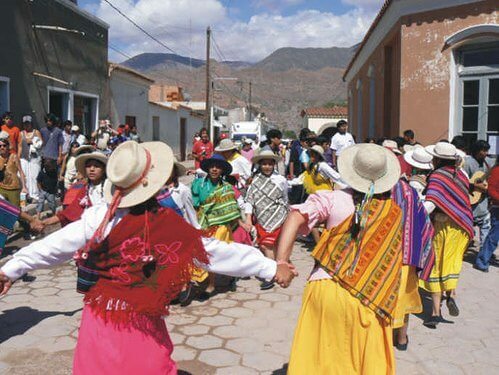 Aside from the remote and barren fascination that can draw the traveller to this relatively unknown setting, Jujuy also boasts interesting connections to the indigenous beliefs of the area. 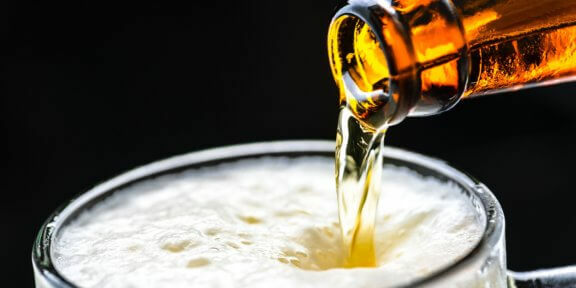 It is here that locals pay tribute to Pachamama (which translates as World Mother in Quechua and Aymara) once a year, and it is also common to see locals pour some of their drinks onto the ground as they hope to share their beers with mother nature herself. The spirituality here was the most powerful I had felt it throughout the length of Argentina. The music, customs and traditional dress takes a prevalence here, yet with it, the area has begun to attract the allure of travellers, hitchhikers and Argentines alike. It is here in this remote, secretive part of the little known deserts that you have the opportunity to experience a side of Argentina that is more in touch with the spiritual depths of South America’s ancestors, the addition is that you can also experience all of this with the good Malbec and food that the country is renowned for. This article was first published on travel website Hibiscus and Nomada.